You have probably seen them on TV: perhaps in a cartoon, or on the news. Maybe you even have a robot of your own, at home! While in the past robots were mainly used factories to help people do heavy work, now there are all kinds of robots that you can, for instance, play with or learn from. If a robot can talk to you or play with you, we call such a robot a ‘social robot’. 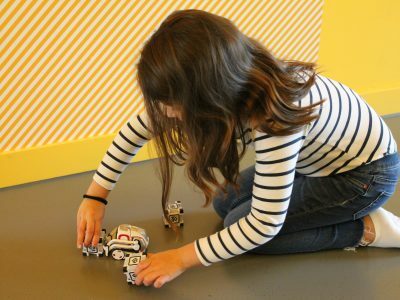 We would like to learn how children like you think of social robots, how you interact with them, and what you can learn from such robots. Our research at the University of Amsterdam tries to answer all of these questions. With a team of researchers, we travel all through the country to take our robots to schools and homes. This way, we introduce our robots to many children, and hope to learn more about children’s view on social robots.